Kelechi Iheanacho's hat trick kept Manchester City's quadruple dream alive as they cruised to a 4-0 FA Cup thumping of Aston Villa. 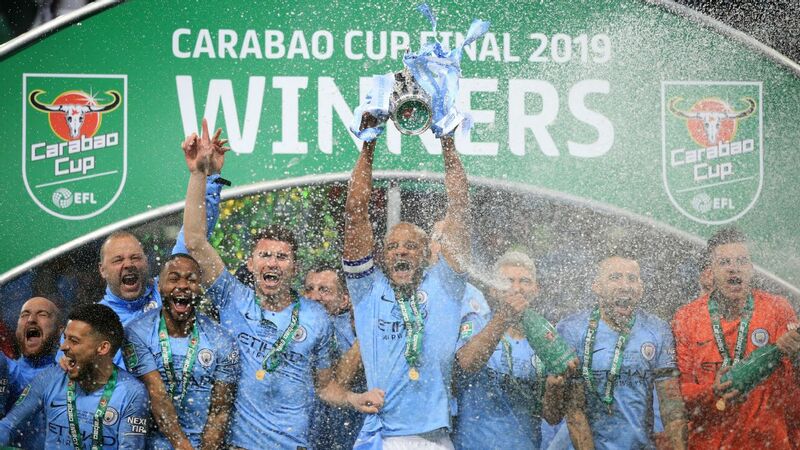 The striker's treble saw Manuel Pellegrini's men cruise in the fifth round just days after they reached the Capital One Cup final. 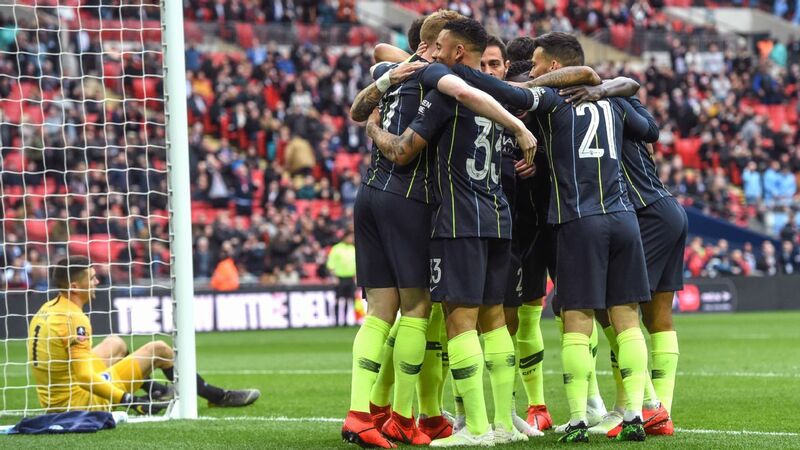 City also remain in the hunt to regain their Premier League crown and face Dynamo Kiev in the Champions League next month. The impressive Iheanacho added to his early strike with a cool penalty before running through unchallenged in the second half to claim the match ball. Raheem Sterling hooked in a fourth at Villa Park to ensure Sergio Aguero and David Silva were never needed from the bench. But in 19-year-old Iheanacho, who now has eight goals this season, they have a striker who demonstrated he can be an able deputy to Aguero after he ran Villa ragged. Kelechi Iheanacho struck three times for a dominant Manchester City. He left the hosts -- last season's beaten finalists -- to concentrate on their survival battle with Remi Garde's side 10 points from safety. The home fans' biggest occupation of the afternoon was jeering Fabian Delph after his summer move to City but they fell silent after just four minutes. Pantomime villain Delph had a hand in City's opener when he ignored the taunts to swing in a corner which eventually fell to Fernando. The midfielder's six-yard header was blocked on the line by Jordan Veretout only for Iheanacho to stab in. City could have had a second four minutes later when Iheanacho broke and found Jesus Navas but his tame shot was easy for Brad Guzan. Shell-shocked Villa's response was muted, even if they bossed possession, with Willy Caballero never tested. Leandro Bacuna headed over and the right-back's afternoon got worse when he conceded a 24th-minute penalty. City had threatened to cut Villa apart on the break and this time they did when Iheanacho crossed for Sterling, who had wriggled ahead of Bacuna, and he was felled by the defender - who was lucky to avoid a red card. 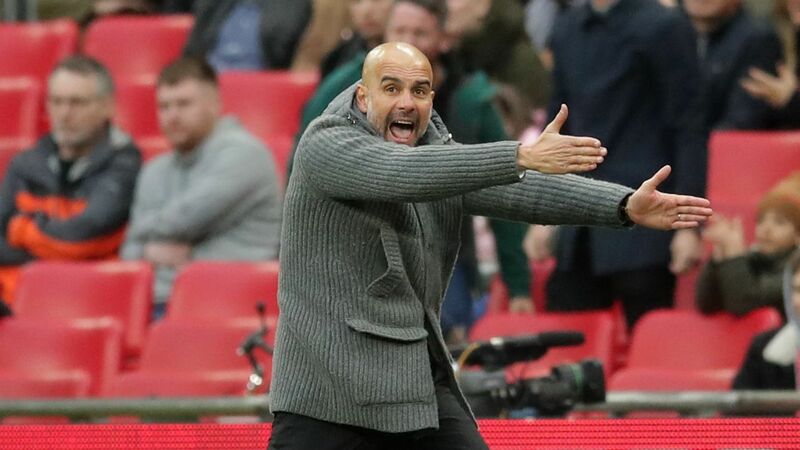 Sterling initially wanted the spot-kick but Pablo Zabaleta convinced him to allow Iheanacho to double City's lead and send Guzan the wrong way. Angered by the decision Bacuna squared up to Sterling minutes later and the pair were booked before the Villa man was given a final warning for an off-the-ball push on the England winger. 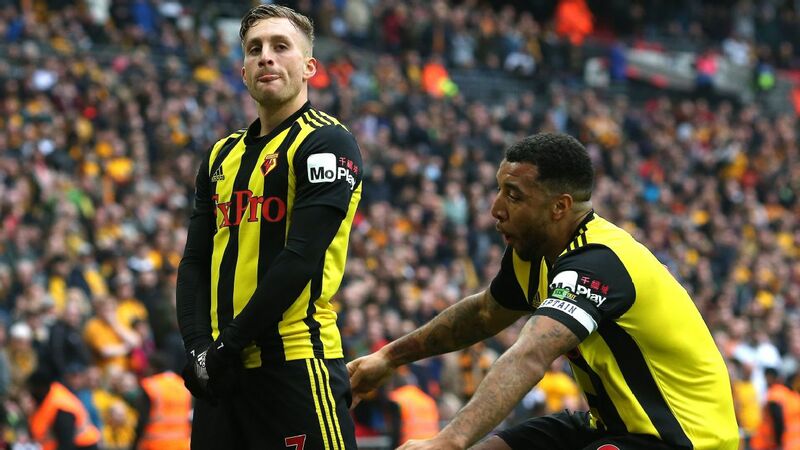 It at least showed a bit of spirit from Villa, who struggled to maintain their recent improvement which had seen them unbeaten in their previous five games. Guzan had to be alert to deny Fernando from close range before Caballero smothered Idrissa Gana's drive just before the break. Sterling twice came close immediately after the restart, being denied by Guzan before heading over, but the game was played at a pre-season pace. 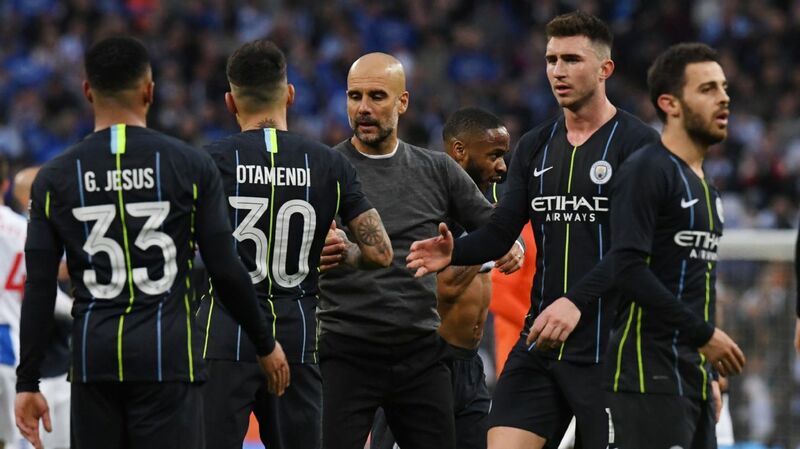 City had the game won against the Premier League's basement boys and continued to play in second gear, although they needed Cabellero to claw away Carles Gil's 67th-minute free-kick. But Villa presented Iheanacho with his hat-trick seven minutes later with a collective horror show. Gana's weak backpass left Guzan stranded and Aly Cissokho dawdled to allow Iheanacho a clear run on goal, which he concluded by rolling past Guzan. 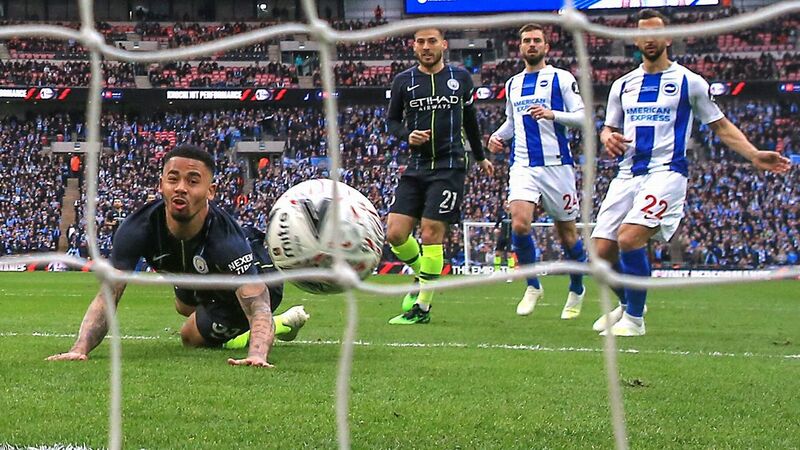 Just 98 seconds later Sterling made it 4-0 to round off the rout when Guzan saved from Fernandinho and the winger hooked in after Iheanacho's acrobatic volley fell to him.